With October in the Highland Lakes only being slightly cooler, Burnet Octoberfest organizers are making sure folks have it made in the shade Oct. 13. Wherever and however this year’s Octoberfest is enjoyed at the city’s carnival grounds at East League and Vanderveer streets, it won’t lack for fun. 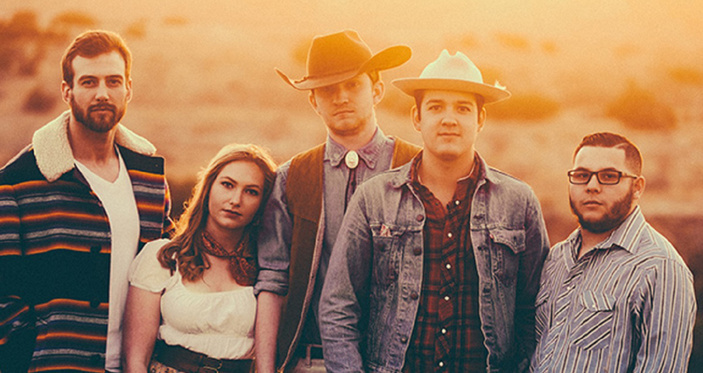 On stage, headliners Flatland Cavalry will close out a day of music that begins at noon. “From classic fifties music to classic country, it’s a day full of unique music that people can enjoy,” Beierle said. Flatland Cavalry is again playing in Burnet after being part of the city’s Summer Concert Series in 2017. Beierle said he’s glad to have the band performing before they become too big of a name for the festival. Flatland Cavalry is scheduled to perform from 8:30-10 p.m. Before that, from 6:30-8 p.m. is Flatt Lonesome, another band Beierle is excited to have back in town. “Their delivery and the way they can make bluegrass what I like to call ‘newgrass,’ the way they play together and harmonize together is something I recommend anybody come listen to,” he said. Opening the day from noon to 1:30 p.m. is Rian Castillo followed by Ben Watson Band from 2-3:30 p.m. then Big Anton & the Alley Cats from 4-5:30 p.m. Admission is $10 starting at 5 p.m. for adults and children ages 7 and older. No coolers are allowed at the event. Food vendors will be set up, and Texas craft beers will be for sale along with certain Octoberfest brews and other favorite beers. There will also be a nearby children’s area with activities sponsored by the YMCA of the Highland Lakes at Galloway Hammond. The Austin Steam Train will be running that day, and the Burnet Gunfighters will put on their Wild West Gun Fight. Oct. 13 is a busy day in Burnet with Fort Croghan Day and the Burnet Art Festival happening around town. For more information on Burnet Octoberfest, go to burnetoctoberfest.com or call (512) 756-4297.